The 30thCopa has arrived! FC Barcelona beat Sevilla 5-0 in the final at the Wanda Metropolitano for their first trophy of the season. Moreover, the blaugranas have now won four Copa del Rey trophies in a row, which is a record for the Club. Goals from Luis Suárez, Leo Messi, Andrés Iniesta and Philippe Coutinho gave them the magnificent win and secured Valverde’s first trophy as Barça’s manager. 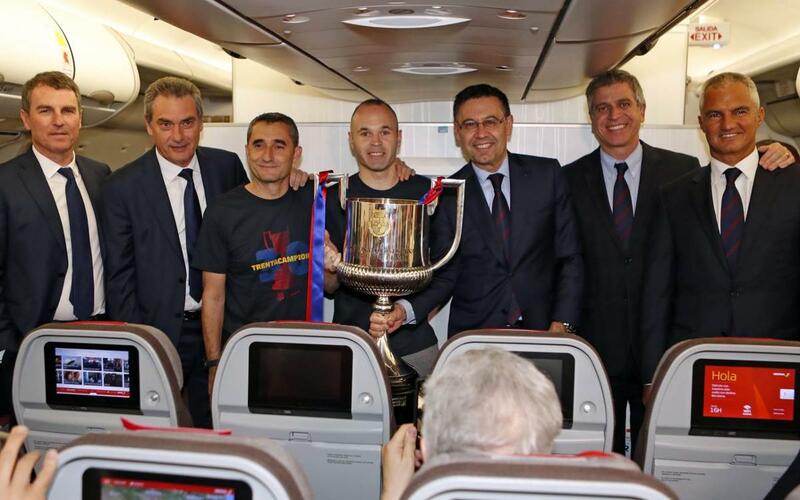 The champions returned on Saturday night by plane following the final. In the following video, take a look at the return flight and their arrival in Barcelona. Who carries the Copa off the plane? Find out here!